Today on 29th May I added 50 shares of TELUS Corporation (TU) at $33.65 per share plus commission ($5.00). My overall cost basis of this position decreases from $34.00 to $33.88 per share. I totally hold now 100 shares of TU and my yield on cost is 3.97%. You can look at my first purchase of TU here. At today's exchange rate, this purchase 50 shares of TU will increase €45.82 ($50.28) of my expected annual net dividend income and will increase my portfolio's projected annual net dividend income to €9260.00. 13th May 2015 I Bought 55 shares of OHI at $34.96 per share plus commission. Some weeks ago, I made my first purchase of OHI. After that, its price has continued to go down, like many other REITs also, so I decided to take a little more of it. My overall cost basis of this position decreases from $38.04 to $36.40 per share. I totally hold now 100 shares of OHI and my yield on cost is 5.93%. You can look at my first purchase of OHI here. Today the Board of Directors of TELUS Corporation announced a quarterly dividend increase of from CA$0.40 to CA$0.42 per share that’s payable July 2, 2015 to holders of record June 10, 2015. This represents a 10.5% increase year-over-year and 5% increase to the last quarter dividend. 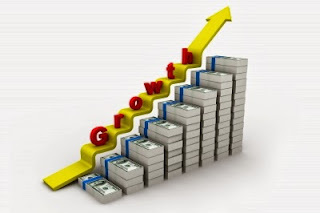 This was a ninth dividend increase since TELUS announcing their multi-year dividend growth program in May 2011 With current price CA$42.02 (Yesterday's close), this raise brings their dividend yield to 4.0%. Since I own 50 shares, this will increase my portfolio's projected annual net dividend income by CA$2.98. That increase rises my YOC to 4.09%. Yesterday the Board of Directors of PepsiCo Inc. announced a quarterly dividend increase of from $0.655 to $0.7025 per share that’s payable June 30, 2015 to holders of record June 5, 2015. This represents a 7.3% increase to regular quarterly dividends. PepsiCo has paid consecutive quarterly cash dividends since 1965, and 2015 marks the company's 43rd consecutive annual dividend increase. With current price $95.42 (Yesterday's close), this raise brings their dividend yield to 2.94%. Since I own 100 shares, this will increase my portfolio's projected annual net dividend income by $14.16. That increase rises my YOC to 3.61%. 29th April 2015 I Bought 45 shares of HCP at $41.07 per share plus commission. 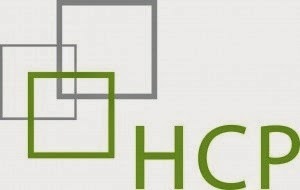 HCP, Inc. is an independent hybrid real estate investment trust. The fund invests in real estate markets of the United States. It primarily invests in properties serving the healthcare industry including sectors of healthcare such as senior housing, life science, medical office, hospital and skilled nursing. The fund also invests in mezzanine loans and other debt instruments. It engages in acquisition, development, leasing, selling and managing of healthcare real estate and provides mortgage and other financing to healthcare providers. The fund benchmarks the performance of its portfolio against the S&P 500 Index, Berkshire Hathaway Index, and MSCI REIT Index. HCP, Inc. was formed in 1985 and is based in Irvine, California with additional office in Nashville and San Francisco.